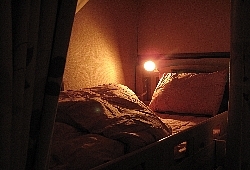 We have 3 sizes of private rooms , mixed and female dormitory rooms. 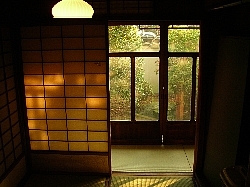 All private rooms has fragrance of classic japanese. 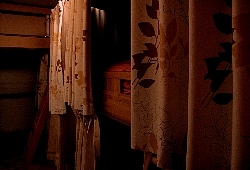 Beds in dorm has a light and curtains for your privacy. NOTE : Please note our 90 years old house.
! Bath rooms and toilets are shered by all guests.
! You need to care about making sounds for next rooms and neighborhoods ,especially at night.
! Cammon spaces are closed between 11PM to 7AM.
! We only accept children of ten years and over. Please check the price at the page of Resavation. 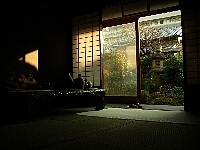 About 10 tatami mats room. Private room for 2 to 5 persons. japanese clssical arts and the view of gerden. next room and neighborhood ,especially at night. All guestroom can lock from inside. 6 to 8 tatami mats room. Private room for 2 to 3 persons. 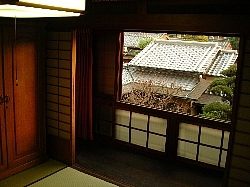 the view of gerden or small private garden. Private room for 1 to 2 persons. 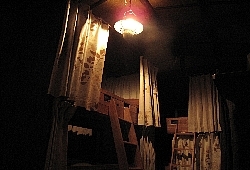 Dormitory room for up to 6 persons. and curtains for your privacy. 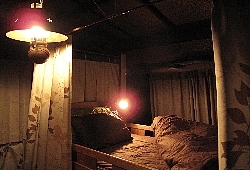 Female dormitory room for up to 4 persons.